A curved phone that was first launched in 1999 the movie of ‘The Matrix’. 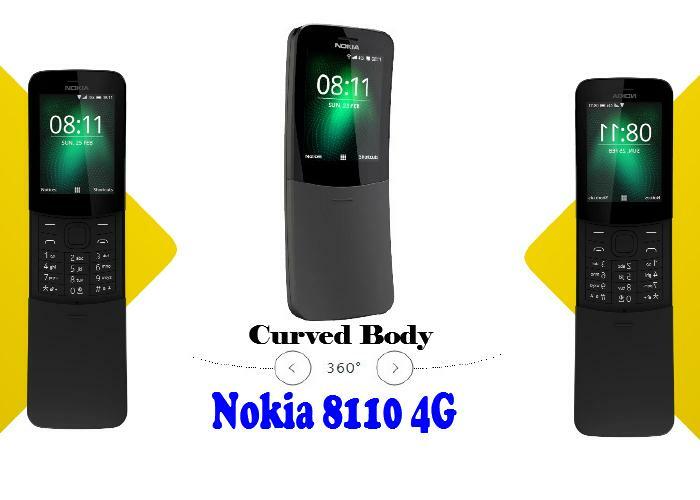 As the same feature phone has announcement by HMD global icon Nokia reincarnated version of Nokia 8110 4G. It has curved body and a slide-out keyboard cover. Jio Phone mobile was launched in July 2017 it comes with a 2.40-inch display with a resolution of 240 pixels by 320 pixels. Nokia 8110 made out of polycarbonate material and it has a 2.45-inch QVGA colour display. HMD Global claims the reincarnated version of Nokia 8110 will support some popular apps, including Facebook, Twitter, Google Maps, Google Assistant, and even Snake. 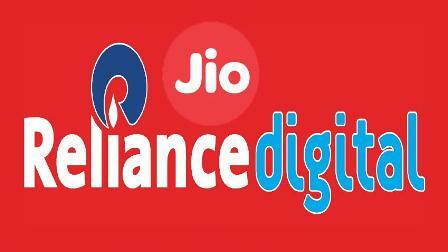 But at the same time Jio feature phone brings some advanced features like support to VoLTE, advanced OS, Jio cable TV, NFC and support for JIO apps. 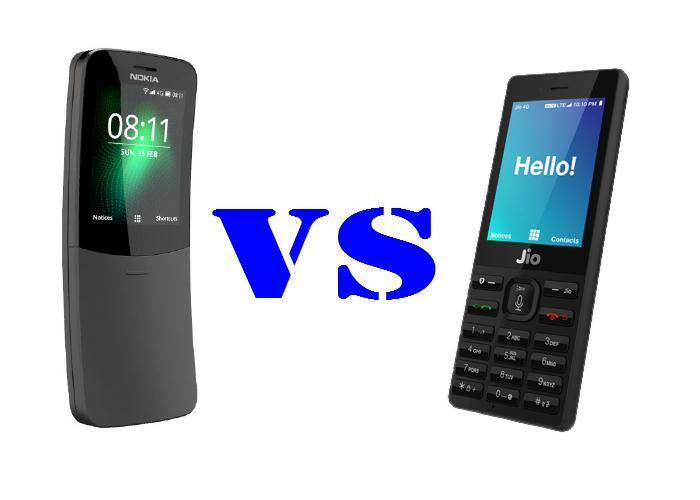 Nokia 8110 is priced at approx rupees 6,300 and it will be available in May but Jio feature phone price in India at the moment of rupees ‘0’ (Buyers will have to shell out a refundable security deposit of rupees 1500 for the JioPhone).